Chocolate mousse is a terrific dessert for all kinds of gatherings. Not only is it a perennial favorite, but it can also be served in pretty serving dishes like large wine glasses, parfait dishes, or stemmed ramekins. The secret to a delicious chocolate mousse is in your chocolate selection. Use the best chocolate that you can afford - there really is a difference. Most chocolate mousse recipes call for bittersweet chocolate, which is darker than milk chocolate, but has a higher sugar content than dark chocolate. Chocolate mousse is a great base for other desserts, as well. For instance, it can be layered with berries and whipping cream for a mousse parfait or flavored with liqueurs for a unique and flavorful twist on a beloved standard. This recipe is for a classic, rich chocolate mousse. Heat ¾ cup of the cream in a saucepan until hot. The cream should be steaming, but not boiling. Meanwhile, in a glass bowl, whisk together the egg yolks, sugar, and a pinch of salt until well-combined. Whisking constantly, slowly pour the hot cream into the egg and sugar mixture until well-combined. Be sure to add the cream very slowly so you don't inadvertently cook the eggs. Transfer the mixture to a saucepan. Cook the custard over medium heat, stirring constantly. When the custard reaches 160 degrees, remove it from the heat. Pour the custard mixture through a fine-mesh sieve into a bowl. Stir in the vanilla and the liqueur. Melt the chocolate in a double boiler, stirring frequently. 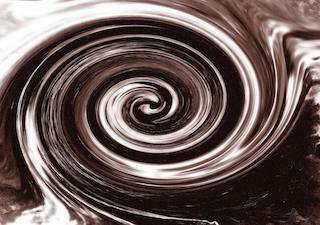 When chocolate is smooth, remove it from the heat and whisk the custard into the chocolate until well-blended. Beat the remaining heavy cream until it holds stiff peaks. Working in 1/4 of the cream at a time, fold the cream gently into the custard until it is thoroughly incorporated. Spoon the mousse into serving dishes and chill for at least five hours. Do you want to enjoy delicious mousse while saving on calories and fat? Try this lighter version of chocolate mousse. Beat the condensed milk, pudding mix, liqueur, and water per pudding mix package directions. Chill the pudding for ten minutes. Fold in the whipped topping until it is well incorporated. Spoon the mousse into individual serving dishes and chill, covered, for at least five hours. Are you allergic to dairy or are you a vegan? Perhaps you are looking for a low-carb version of mousse? Try this dairy-free avocado-based mousse. It is surprisingly light and flavorful - you can't tell it is made with avocados. Place all ingredients in the bowl of a food processor fitted with a metal chopping blade. Process the mousse until well-blended and smooth, pausing in the middle to scrape the side of the food-processor bowl. Spoon the mousse into individual serving dishes and chill for at least five hours. Serve the mousse topped with fresh berries. No matter what kind of chocolate mousse you are looking for, there is certain to be a recipe that meets your needs. If you'd like to dress it up even more and shake things up a bit, you can make a layered parfait with another flavor of mousse, such as orange mousse, strawberry mousse, or maple mousse.